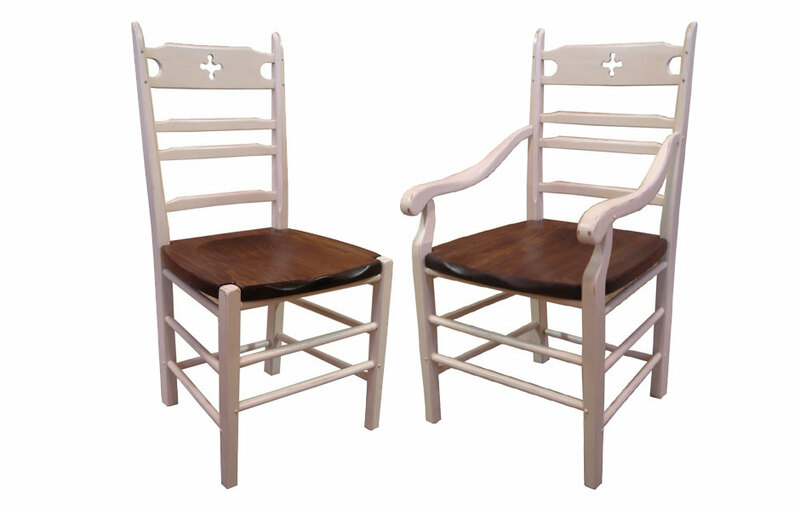 This French country cottage style chair offers a unique star cut-out back detail and three contoured back slats. The rustic chair is available in Side or Arm styles with your choice of seats in Wood, Snowshoe, Woven Seagrass, or V-weave Seagrass. 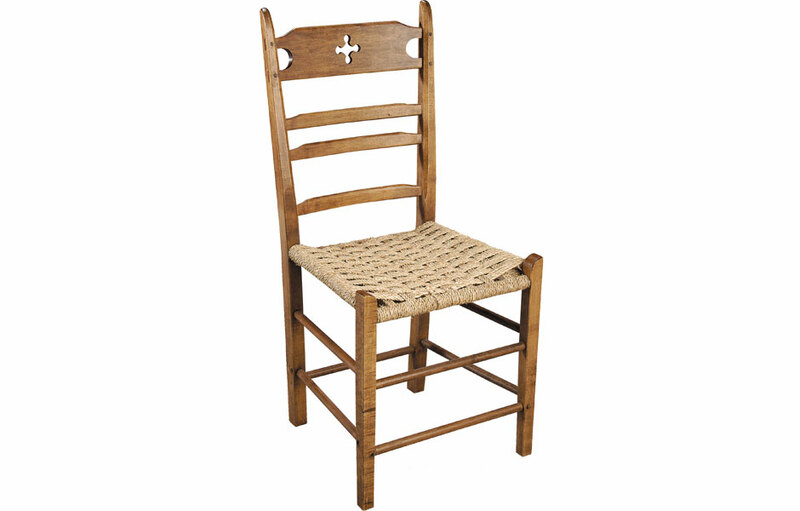 The French Country Paysanne "peasant or rustic" Chair was found in country cottages and farmhouses throughout Europe. It's beloved for its cottage-style with a unique star cut-out back, contoured horizontal slats, and medium-height back. This cottage dining chair adds a french-inspired, rustic feel to a dining table. The slightly sloped back and horizontal slats makes the chair comfortable to sit for leisurely meals. The wood molded seat is contoured for comfort, and can be used without a cushion. 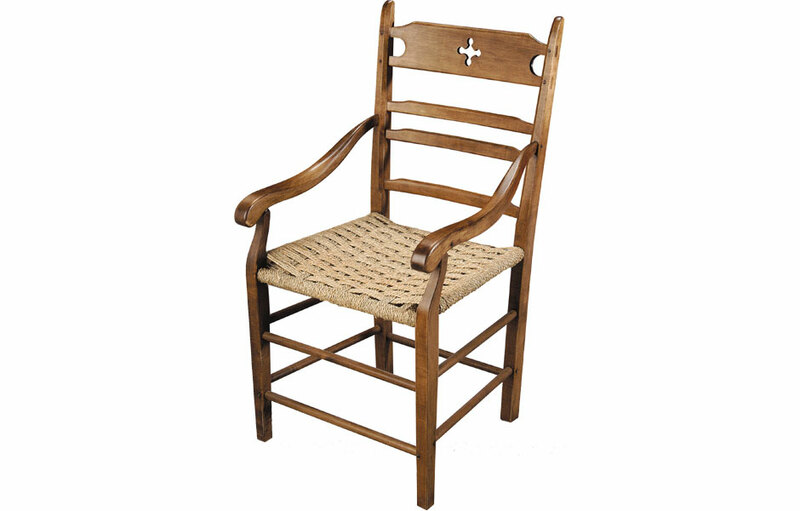 This French country cottage chair is available with your choice of (4) seat styles. Options include; a molded "Wood" seat, hand strung "Snowshoe" (rawhide) seat, or "Woven Seagrass" (rush) or "V-weave Seagrass" (rush) seats. 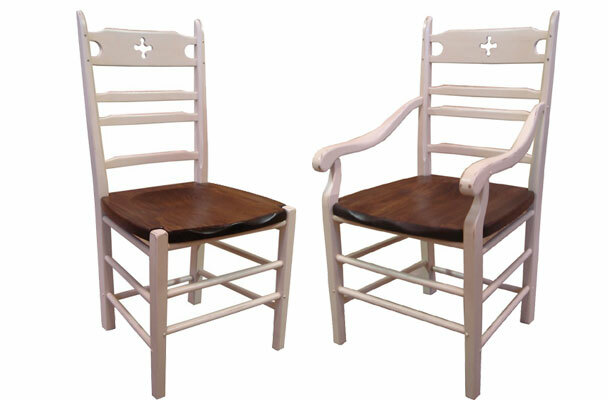 Each seat style gives the chair a unique appearance depending on your seat and paint/stain selections. 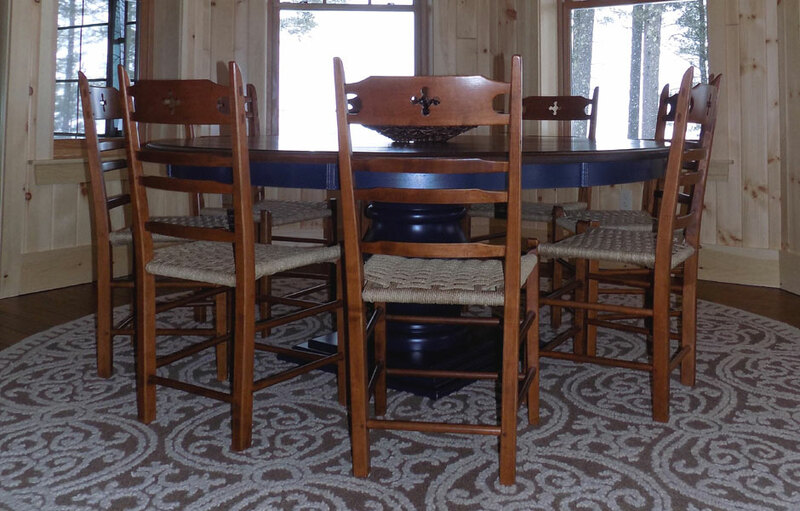 Paint/Stain finish options include a two-tone combination of paint and stain, entirely stained, or entirely painted with the wood seat selection. For other seat types, the chair can be painted or stained in a color of your choice. This French Country Paysanne Chair complements French Country, English Cottage, Farmhouse, Rustic, Transitional and Traditional style decors. We offer (4) seat styles on our French Country Ladderback Dining Chair: Wood, Snowshoe, Woven Seagrass, and V-weave Seagrass. The wood seat is a hardwood seat that can be painted or stained, the Snowshoe seat is made of beeswax and leather, and the Woven Seagrass and V-Weave Seagrass are made of a natural fiber material that is hand strung. All styles are strong and durable. "Wood" is a Pine seat. The wood seat is a comfortable molded seat design. We can stain the seat to match your table top color. "Snowshoe" is a leather seat. The snowshoe seat is a comfortable seat design made of beeswax and leather. With use the seat molds to the correct shape of the seated person. "Woven Seagrass" is a natural fiber seat. The woven seagrass seat is hand strung in a basket weave pattern. The color is a natural color. "V-weave Seagrass" is an natural fiber seat. The seat is strung in a v-shape pattern and is hand strung and is a natural color.